This level is for children who are between the ages of three and five and are ready to participate without a parent. The program places an emphasis on coordination skills and basic progression skills on each of the four main events - vault, bars, beam, and floor. It also helps participants develop listening skills, turn taking skills, instructional discipline and social discipline. This program will help participants develop more advanced coordination skills as they focus on form, progression and instructional discipline. 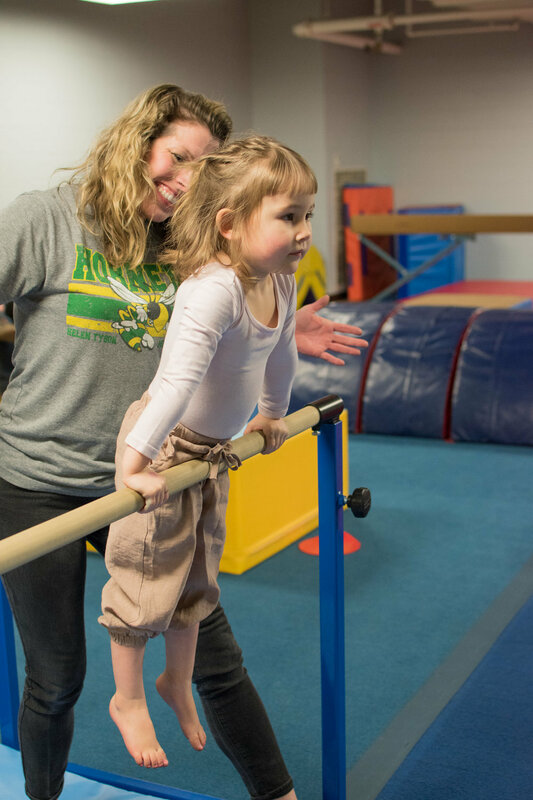 Our gymnastics studio is available for parties!